Which Cobratrak Cat 5 Tracker Should I Buy? 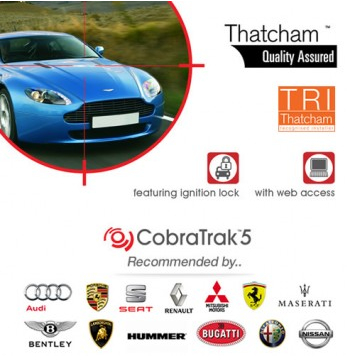 If installed correctly Thatcham Category 5 car trackers are ideal for high performance and high value vehicles and offer the highest level of insurance accreditation available in the UK. Designed to prevent your most prized possession becoming a victim of vehicle theft Cat 5 trackers are the crème de la crème of vehicle tracking solutions and leading manufacturers Cobratrak have a selection of high quality Cat 5 tracking devices that utilise the most sophisticated tracking technology and offer ultimate protection. And here at Trackerfit we stock two Cobratrak Cat 5 trackers, both of which offer fantastic value for money and are approved by a host of major vehicle manufacturers including Ferrari, Maserati, Porsche, Audi, VW, Bentley, Lamborghini, Hummer, Bugatti, Alfa Romeo, Nissan, Skoda, Seat, Renault and Mitsubishi. This top of the range tracking system can be discreetly installed in most vehicles, is feature rich and is the cheaper of the two Cobratrack Cat 5 devices. Using the most sophisticated tracking device technology the Cobratrak Cat 5 tracker incorporates Automatic Driver Recognition, motion-sensing alerts that detect unauthorised movement and Remote Engine Immobilisation. Ooh and let’s not forget the pinpoint GPS tracking software that can locate your vehicle to within 10 meters! 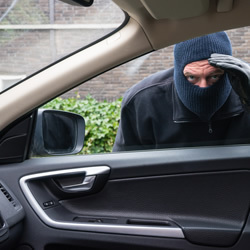 In today’s day and age thieves will go to extreme lengths to get their hands on your expensive vehicle, therefore it’s vital the tracking device you opt for is equipped with state of the art technology. The Cobratrak Cat 5 tracker is equipped with a back-up battery, GPS and GSM jamming detection and a tamper-alert, therefore you can rest assured knowing your vehicle is protected from even the most accomplished vehicle thief. The CobraTrak Cat 5 Web tracker, like the Cobratrak Cat 5 device, is a state of the art tracking system equipped with the most sophisticated tracking device technology. Incorporating the same features as the Cobratrak Cat 5, the upgraded version is a tad more expensive but utilises a number of different key features. Real time vehicle location via a password protected web application is now available as well as a brand new Geofacility feature that allows alerts to be set relative to the specified vehicle movement in and out of a user definable area. Garage Mode can also be used when your vehicle is being serviced to prevent any false alerts. Both Cobratrak Cat 5 devices have access to International GSM coverage and are traceable in 36 European countries plus South Africa and Russia. Without stating the obvious there aren’t that many differences between the two trackers, therefore it may seem a little pointless paying extra money for just one or two added features. However, if you want the very best tracking device, with all the latest features, it makes complete sense to spend the extra £25, especially when you have already spent a fortune on the vehicle itself! For more information on our range of Cobratrak Cat 5 Trackers then feel free to get in touch. Give us a call on 0800 096 3092 to discuss your requirements with one of our friendly, fully trained experts.